Ecology Over Economy: Was Japan Earthquake Caused by an Atmospheric NEXRAD-like Device? Only after the last tree has been cut down. Only after the last river has been poisoned. Only after the last fish has been caught, only then will you realize that money cannot be eaten. 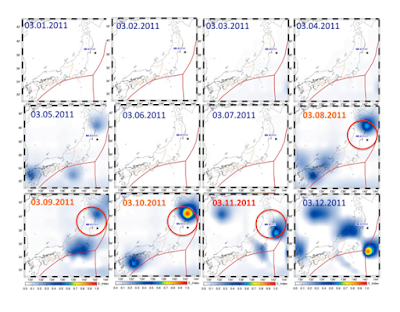 Was Japan Earthquake Caused by an Atmospheric NEXRAD-like Device? Infrared emissions above the epicenter increased dramatically in the days before the devastating earthquake in Japan, say scientists. Geologists have long puzzled over anecdotal reports of strange atmospheric phenomena in the days before big earthquakes. Last year, we looked at some fascinating data from the DEMETER spacecraft showing a significant increase in ultra-low frequency radio signals before the magnitude 7 Haiti earthquake in January 2010.